Watch out! 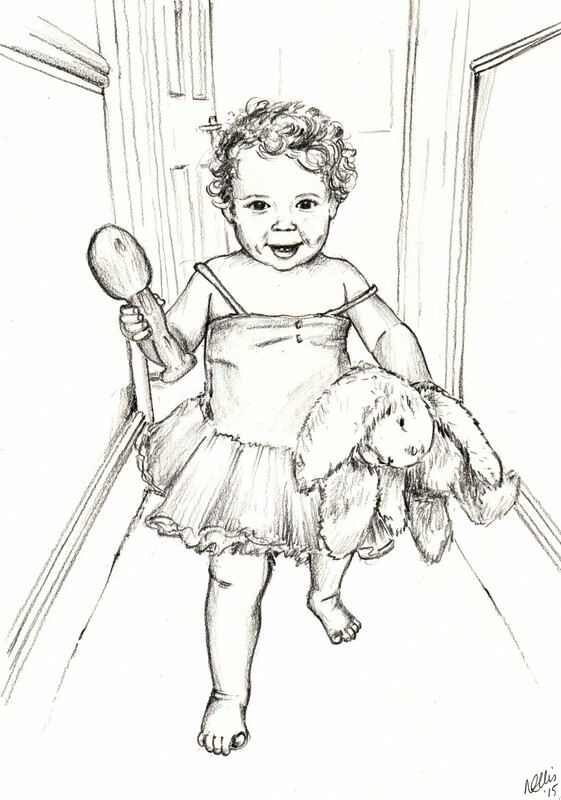 I’ve got a plastic spoon, my favourite cuddly toy, a tutu and an adorable grin- I’m going to melt you! A funny moment captured by a lovely Aunty who felt it summed up her niece’s character perfectly, a true delight to draw from the little chubby feet to her cheeky dimples!